Use TB1W93Q to reference this item. The coin was released in the loving memory of Tod Phillips, a great guy and geocacher who lost his life in a bike accident! Please pay attention when you are on the roads!!! Please, do not keep this coin for too long!!! Help it with its mission and help it spread its message! Thank you! ***Special thanks to FScout for adopting this coin to me!!! 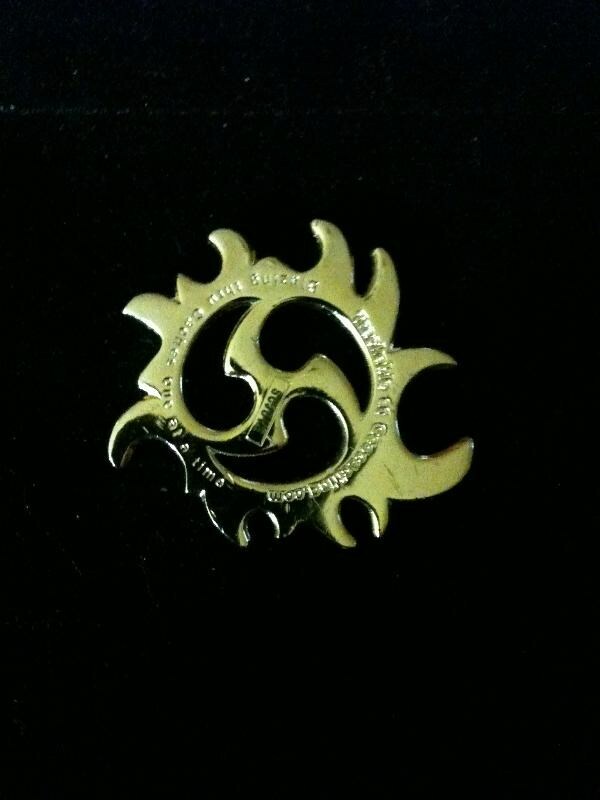 This coin is a part of the Pay it Forward Geocoin Adoptions . The premise is that those who have extra activated geocoins that may be doubles, coins that are no longer wanted, coins that will not sell or released coins someone does not want to keep track of, etc... For whatever reason, adopt them to someone who wants to see their own coin travel. Placeret i Peder Frederiksen lytter til dansk geopadcast. Took it from our Event to my cache on Bornholm. Unfortunately the TeamDjango was not able to wait one day before grabbing it.